We take great pride welcoming you to Celines Beauty Rooms. Here at Celines Beauty Rooms, we are very passionate about caring for all your beauty needs. We offer a full range of professional beauty services and pride ourselves in our exceptional level of customer care. We take time to select only top quality products to offer you the very best range of services at competitive and affordable prices, all delivered by our fully trained, qualified and friendly therapists. 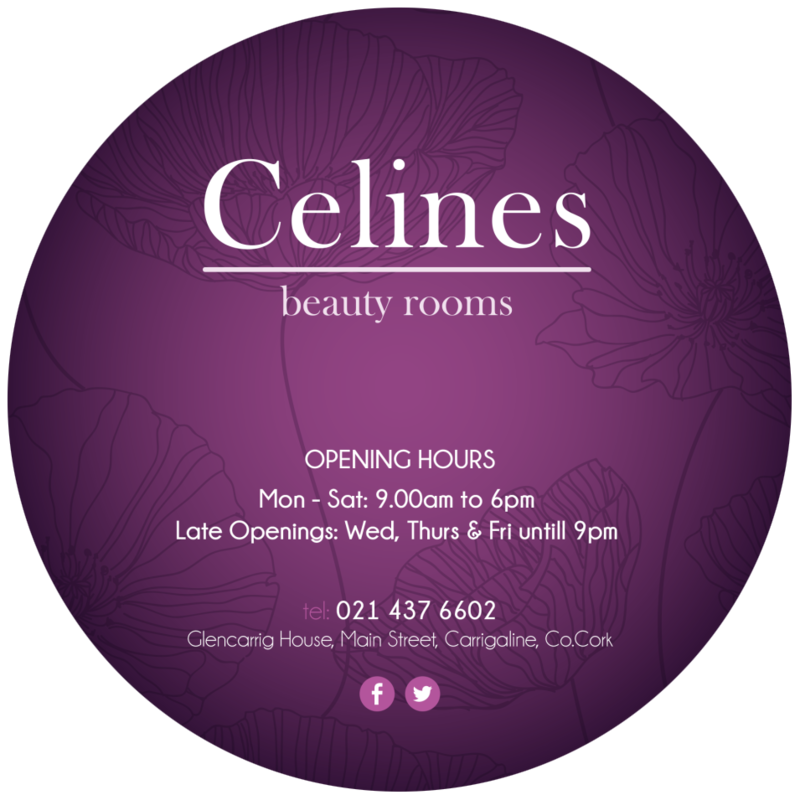 Celines Beauty Rooms is conveniently located on Main Street, Carrigaline and there is plenty of free car parking within a minute’s walk from the salon. We really hope you enjoy your experiences with us.